I don’t read instructions for a few reasons: I love mysteries, puzzles, and problem-solving, I enjoy figuring things out and learning how things work, and I have pride in being able to reverse engineer what took a Fortune 100 company, like 3M (maker of the Post-it® Note), thirty-five years to develop. I confess, I only read the manual or instructions when it is absolutely necessary. Using the light from the open microwave, I strained for a loose tab to pull. Nothing! Getting my thumbnail under the folded plastic wrapper also proved futile. Brute force? Nope, that failed, too! A feeling of surprise rushed over me as I realized I was going to have to read the instructions. BEND TO OPEN was printed in bold capital letters and centered over a very helpful drawing of two hands bending the package along seam running from pole to pole. Curious: too inquisitive to spoil the quest of discovery. Prideful: too smug to admit the need for help. Hasty: too rushed to take things step by step. Brilliant: too smart to rely on someone else’s expertise (or at least we think). Adventuresome: too excited by taking chances and testing intuition. Why did my husband ask me for help? Because he already knows about 1 – 5 from above. He knows I will figure it out regardless of the effort, time, or frustration required. Though it sounds ridiculous, I read the manual only when all else fails– just because it is more fun and challenging. So, are you like me? Or like my husband– who finds someone else to eventually read the instructions? Ask me if I read the manual for my new phone and why! 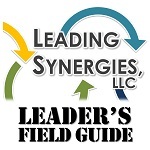 The post When All Else Fails, Read the Manual appeared first on Leading Synergies, LLC.